I have an IDE western Digital HD that I believe had a corrupt mbr or boot sector virus which wouldnt allow me to get back into windows. I bought a Rosewill external hard drive enclosure in an attempt to get my data off the drive. 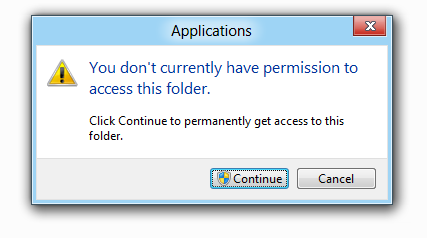 However I am unable to see any files or folders I want because Windows XP is password protected, and I think its preventing from accessing the files I want. Is there a way around getting my data off the harddrive, which is password protected, using an enclosure? When you go into the hard drive in windows 7, do you ever see this? But when you click continue, nothing shows up? You need to take ownership of the folders.